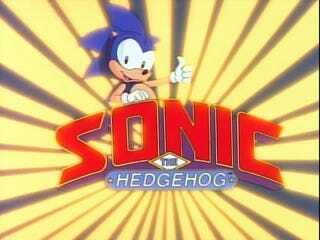 I have been on a nostalgic kick recently when I found the SATAM Sonic the Hedgehog cartoon on Netflix and have been watching through the series. Cheesy? Yeah! But man, I still love it. And so it stirred an interest to peruse through the many years of Sonic titles, from games to shows to comics and for the most part, especially in the SATAM Sonic series, immensely enjoyed the characters that were created, from the witty, intelligent Princess Sally to the clumsy, obnoxious coward Antoine with the Peter Sellers-esque accent. Then, I slump my shoulders in remembrance of all that former greatness and potential that lay in anticipation of the new millennium with Sonic entering the 3D realm when sitting at my drawing desk looking at a reference picture for what could have been one of the coolest new villain/potential ally character the franchise had seen in my opinion since Robotnik (NOT Eggman!!!) first jumped on people's screens in 16-bit form back in 1991. I will let the image speak for itself. There you have it. Shadow The Hedgehog. I mean, an evil Sonic, not a Mech one, the foil character for the blue hero of the franchise I grew up loving. And then, the game he debuted? Mediocre, at best. Most of you reading this know how disappointing most of the Sonic games post 2000 have been, especially the title game featuring this cool looking character which was released in 2005. My main point is not as much about the games made with this character in it, though they do tend to be the main medium that flesh out the story, personality, and other details for our friend currently under review. It being more than a decade since I first tried a play-through on Sonic Adventure 2 and from my disappointment with that game not playing another Sonic game at all until 2007 with Sonic and The Secret Rings on the Wii which was less disappointing but still not great, I had to actually look up the origins of Shadow to see Sonic Team's vision of this character in the beginning. So, using good ol' Wikipedia, your friend and mine, Shadow was created fifty years prior to the events in Sonic Adventure 2 by a "Professor Gerald Robotnik," a supposed grandfather to our well known villain with the same last name, as "The Ultimate Lifeform." Though the professor's intentions were seemingly "noble," the existing government saw Shadow as a threat and attempted to shut down the project, and as a result, killed the professor's granddaughter just after she was able to send Shadow in suspended animation to earth. At Sonic Adventure 2's opening, our Dr. Robotnik (NOT EGGMAN!!! ), releases Shadow in hopes to use him and his anger over Maria's death (apparently the only friend he had), to conquer the world, though Shadow's own plans were to destroy it out of pure revenge. Now, for me, the origin story is decent, though hardly original with the emotionally plagued scientist in the search for immortality from the desire to cure a loved one's illness resulting in the creation of a "Super-being." In this respect, creating an "anti-copy" of the hero with the abilities and traits listed on Wiki [See under "Characteristics"] gives Shadow an amazing potential as a new arch-nemesis or possible ally with plenty of great places to go from the original drawing board. And with the addition of the ability to play part of Sonic Adventure 2 as Shadow initially seemed even more enticing. This ability was dubbed "Chaos Control" and since I love attaching pics and the like, here's a little demo montage video I found, and since it is an edited montage, of course it looks quite cool! To sum it all up, listening to my boy Erkel (Jaleel White) voicing a childhood hero in a cartoon I tuned into every Saturday in fifth grade-I am watching the second to last episode now-and sitting at my drawing table looking at the pic of Shadow I was going to draw developed lamentable feelings as to what could have been another cool edition to the Sonic universe being cheapened by a mediocre stream of games. Though, recently, the team at Sonic has redeemed itself somewhat with some quite decent titles, seemingly found the balance of good, fast Sonic gameplay on a 3D platform with the likes of Sonic Colors and Generations, along with making the older generation fans happy with the classic 2D style on the DS handheld with Sonic Rush and Sonic Rush Adventure, and I definitely canNOT fail to mention Sonic 4, whose first couple episodes have been released in the last few years as an actual continuation of the original story line following the ending of Sonic and Knuckles. How myself, along with many others, probably some of you, had been in anxious anticipation wondering if the original line of games were even going to continue. Thank you, Sonic Team! But, I still ask you. Why? Why did you create a character with great potential and then not back it up with quality games? I mean, Knuckles was a success...initially. Ah, well. Well, readers. Feel free to discuss, disagree with me, and comment to your heart's content-remembering to be considerate as always!